Superb office space is available in this ecologically aware business environment. Work spaces can accommodate up to 25 people, and single desk options are also possible. Ideal for small to medium businesses, the site focuses on supporting new ventures and promoting business growth. Situated 5 miles from Stoke on Trent and less than a mile from Tunstall, there is excellent access to shopping facilities and the M6. 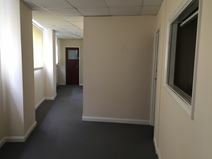 In a mixed use commercial and residential location on the edge of the centre of Hanley, this versatile ground and first floor office space provides a choice of open plan or private offices. This former ceramic production premises is prominently located about one mile from Newcastle-under-Lyme town centre. 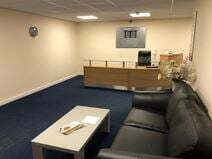 The whole building has been refurbished and now provides a range of part-serviced office suites, with facilities including a reception area, lift access, free parking, office cleaning, conference facilities and an on-site management team. Stoke Railway Station is within walking distance, and East Midlands Airport is around 40-minutes away by road.